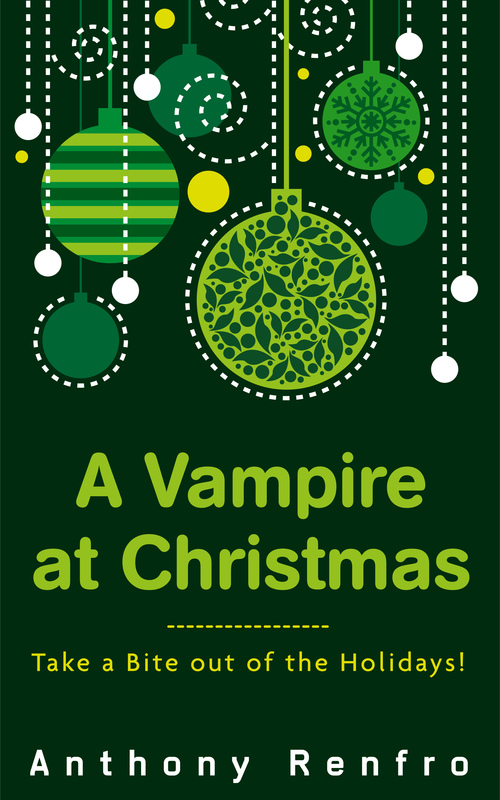 Today I’m happy to help out fellow self-pubbed author Anthony Renfro with his cover reveal for A Vampire at Christmas. A short story about a Vampire who uses his riches and immortal skills to bring joy to those in need during the Christmas Season. Talan Gawayn became a vampire in the 15th century on a cold, starry, full-moon night just after the first big snow of November. He was walking a less traveled path, on his way home from seeing his fiancé, whom he planned to marry the following spring, when three men stepped out of the shadows to rob him. He fought them at first, but they soon overpowered him, beat him ruthlessly, laughing as they did it, drunk and looking for someone to rob. They had found it in Talan who was so hopelessly in love he hadn’t seen them sneak up on him. While he lay there in the snow dying from his injuries, one eye shut and swollen, the other able to see only a blurry vision, he thought he saw something, something moving quick and fast. The men who had beaten him were counting out their stolen money when this thing attacked them. It tore through their flesh, ripped out their throats savagely; and didn’t just drain the robbers of their precious blood, but this thing seemed to almost be bathing in it while it fed. Talan tried to stay focused, tried to see what this thing was, but his will gave out and his good eye closed. He passed out into an injured slumber.